Last weekend we had the very best and very worst idea to dye Easter eggs with the kiddos. Caroline was really into it and loved watching the eggs change colors, dipping the whisks into the water and decorating the colored eggs with Sophia stickers. Meanwhile, Thomas was more interested in grabbing the cups of colored water and proudly pouring them on himself and then giggling. As mom and I were setting up the egg decorating station these two were hugging it out, per usual. They crack me up. 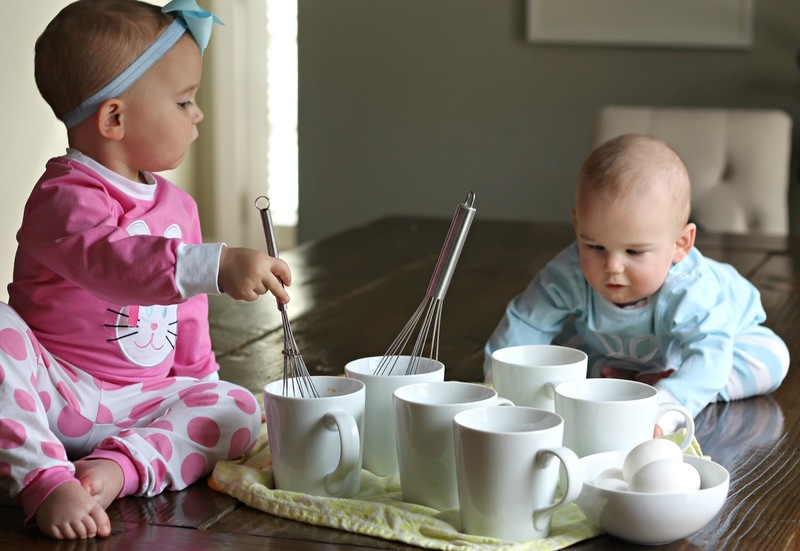 And I’m obsessed with their matchy Easter jammies I won from an Instagram giveaway at Christmas! Dropping the tablets into the cups! 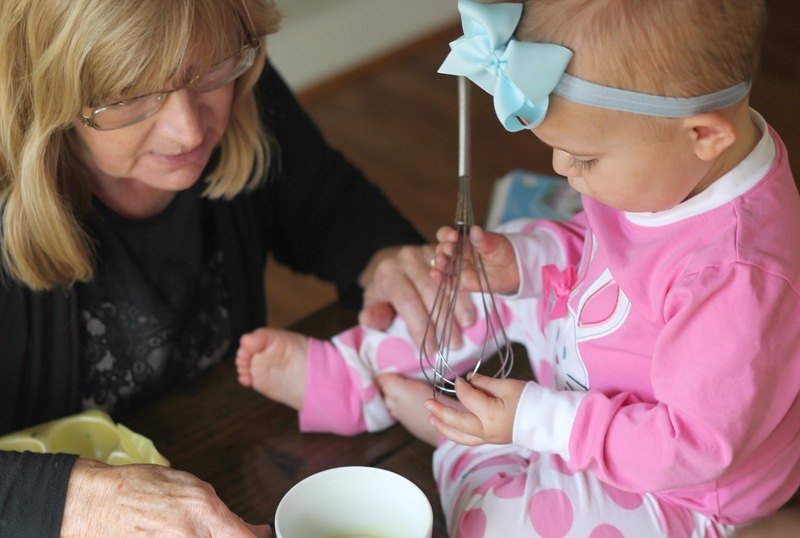 Using a wire whisk was a game changer for dying eggs with a toddler. So much easier than balancing an egg on a spoon and having it fall inside the mug and cracking. However, Caroline was an aggressive whisker so I’m not sure the eggs sustained any less injuries this method. It was cleaner though. Moments before the orange cup casualty. Ahem, Thomas. Such a fun morning of egg decorating! Previous Post New TaTas & Recovery Update! I love this post – SO SWEET!! The kids look adorable in their Easter outfits— looks like that had so much fun dying Easter eggs together! Awww these pictures of the kids are adorable! And I never thought of using a wire whisk! I'm remembering that for the future! Whisk = great idea! Your little ones are just precious! I loved seeing your snapchats of them dying their eggs! SO sweet!!!! 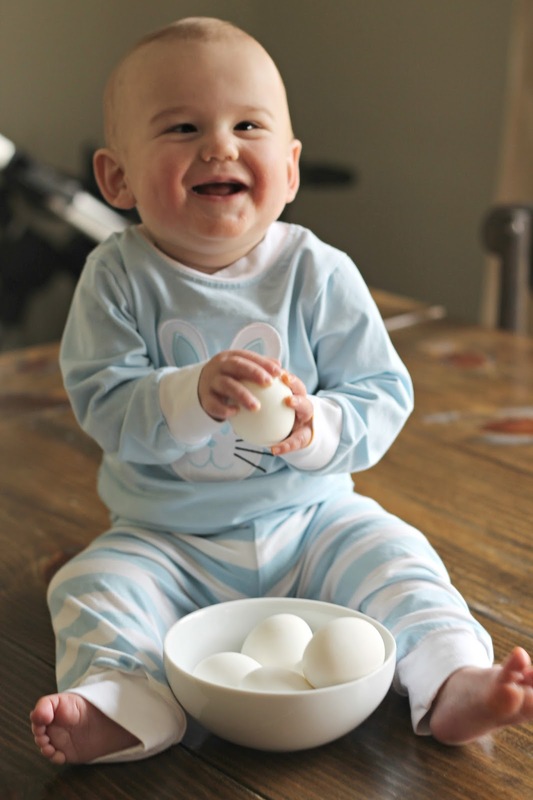 Those Easter jammie's are too cute! 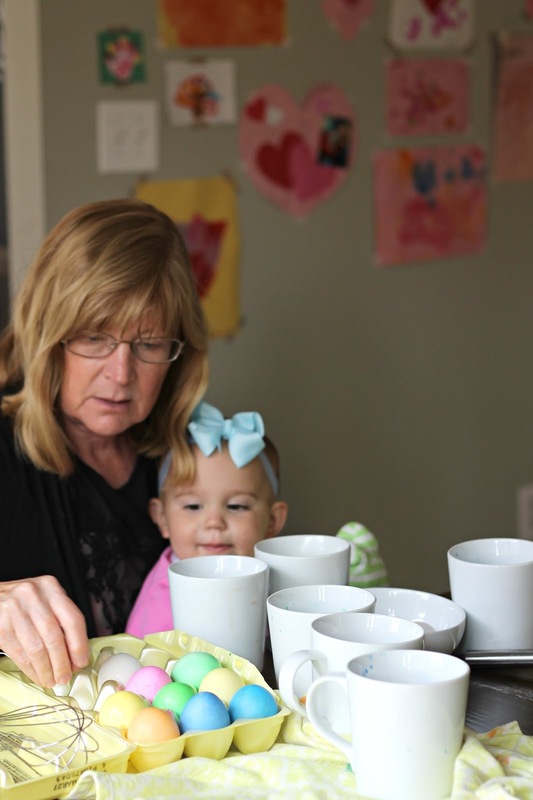 Love this sweet Easter activity! Omg that picture of them hugging – the best of friends! So sweet! Stop. They could not be any cuter! The whisk idea is totally genius!!!!!!! Caroline definitely is a boss!!! Love these sweet faces!